Dana Holgorsen's incident and subsequent removal from the Mardi Gras Casino on May 18 might have more repercussions than originally thought. While one incident could be overlooked as an offseason mistake, the Huntington Herald-Dispatch is reporting that Holgorsen, West Virginia's offensive coordinator and head coach-in-waiting, has been involved in six -- yeah, six -- alcohol-related incidents in the past six months. The paper cites sources and claims the first five were covered up. But that the sixth, the incident at the Mardi Gras where police were called to the casino to remove a drunken Holgorsen because he did not want to leave, has caused some additional digging into offensive coordinator's past. And media didn't have to dig very far to learn that Holgorsen has a problem holding his liquor. The Intelligencer/Wheeling News-Register reported Saturday that Holgorsen was asked to leave Oglebay Park, a resort in Wheeling, W.Va., earlier this year. Holgorsen was also removed from the Wheeling Island Hotel, Casino and Racetrack. The Herald-Dispatch added that Holgorsen was asked to leave the Pete Dye Golf Club in Bridgeport, W.Va., and not come back. And the paper cites rumors of three incidents at the Morgantown hotel where he lives, including being banned from the hotel bar. No charges were filed for any of the six incidents, which has made it easy for most of them to stay hidden. Also, there are allegations he was asked to leave the Union Pub And Grill in Huntington on Oct. 28, 2008. That's the night Marshall upset Houston, 37-23, at Edwards Stadium in a game nationally televised by ESPN. 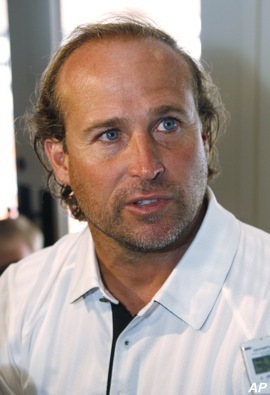 Holgorsen was the Cougars' offensive coordinator. "I can't say for sure," said Herb Stanley, long-time owner of The Union. "That was the game when the Houston receiver (Patrick Edwards) suffered that broken leg. "The ESPN guys were in here after the game watching the replay and they were talking about how bad that was. There were a couple of Marshall facilities guys in here, too, and it did get pretty heated. "As a football coach, I am always in the public eye and I have to hold myself to a higher standard," he said in a statement. But in light of this new news, Holgorsen sounds more like a man who's sorry he got caught rather than someone who's actually remorseful. Remember, West Virginia hired Holgorsen in December to be the coach-in-waiting behind Bill Stewart. They offered him $1.4 million plus incentives and bonuses beginning next year and the deal runs through 2016. Was the stress of being the coach-in-waiting too much for Holgorsen or is he just blowing off some steam before the real responsibility kicks in? Regardless, West Virginia has a major problem that needs to be controlled immediately. Athletic director Oliver Luck had already come under fire for hiring Holgorsen to replace Stewart in the first place. It doesn't bode well for Luck that Holgorsen has been an off-field problem and he hasn't yet coached a game -- as offensive coordinator or otherwise -- for the Mountaineers.